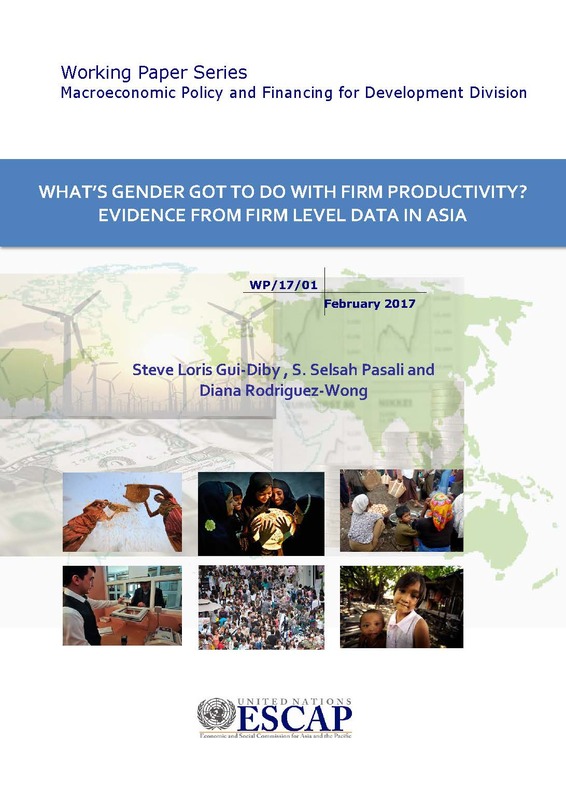 This paper attempts to shed some light on the relationship between gender, financial constraints and productivity. It uses firm-level data from 23 Asian countries, and models with correction of selection biases. On the basis of an objective measure of financial constraint, this paper finds that the provision of adequate funds by financial institutions is important for productivity but gender is not a significant explanatory factor of productivity and female-owned enterprises are not necessarily more credit-constrained than male-owned enterprises. It is concluded that the impact of gender on productivity is not direct but mostly indirect through key drivers of productivity. The paper thus stresses the need, for governments, to address challenges related to sectoral segregation, gender-based discrimination, uneven time spent on non-productive activities, and transition from informal sector to formal sector as they are related to key drivers of productivity.